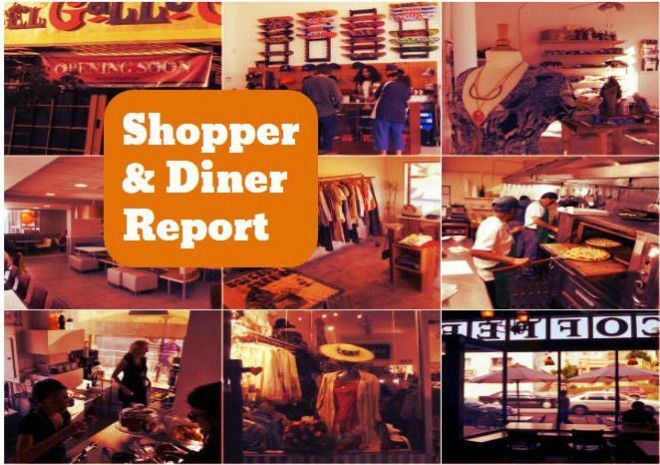 Here’s your round up of Eastside dining, shopping and food news. Folia Collective owner Danae Horst needed to transplant her shop to a larger space, so she relocated the business from a small shop in Pasadena’s Burlington Arcade to a more spacious spot in Eagle Rock, the L.A. Times reports. Expect an array of houseplants, pots, accessories, candles, cards and hand-focused cream for those folks whose gardener hands need a little TLC. Folia Collective is at 5117 Eagle Rock Boulevard in Eagle Rock. Sure, owners Sara and Steven Valdes have maintained the market’s 60-year all-in-the-family charm since taking over after Sara’s parents retired. But the couple wanted to take the market beyond its stop in for a gallon of milk, butter and eggs level, Los Angeles Magazine reports. The Valdes followed their passions for craft beer and started selling hard-to-find beer brands, featured an entire month of vegan pop-ups in December and presented a chef line-up comprised of the industry’s biggest names to those who are establishing their roots. Sara’s Market is at 3455 City Terrace Dr. in City Terrace. Coffee roaster Stereoscope Coffee will be opening a store in a new Echo Park restaurant and retail complex, reports The Eastsider. Stereoscope roasts a variety of coffee beans and operates a coffee shop in Buena Park. The micro roaster has supplied beans to cafes in the Arts District and Los Feliz. L. A. Times restaurant critic Bill Addison is “hooked” on Ma’am Sirs “charisma,” which is represented by the restaurant’s tropical-esque sophisticated vibe and chef Charles Olalia’s determination to capture the culinary essence of his Filipino heritage. Addison’s recommended dishes include pork and sweetbreads sisig, lumpia; “Happy birthday fried chicken;” shaved vegetable salad; chicken adobo; and beef oxtail kare kare. Ma’am Sir is at 4339 W. Sunset Blvd. in Silver Lake. Maria Flores, whose burritos and tacos had won praise from Atwater Village locals as well as the late chef and author Anthony Bourdain, has died, according to her restaurant’s Twitter feed. Flores and her family have been dishing out Mexican-American fare for more than 20 years out of Tacos Villa Corona, a small take-out stand on Glendale Boulevard. While the strip has gentrified with coffee houses and gastropubs, regulars still line up for breakfast burritos. Konbi’s beauty rests in its success of combining complex ingredients and making the process looks effortless in its carefully crafted sando, or sandwich, says L.A. Times restaurant critic Patricia Escárcega. Countless hours and research and development went into the making of each sandwich. Konbi also presents an array of vegetables to accompany the sandwich, and if you’re up for it, desserts, such as the canelé. Konbi is at 1463 Sunset Blvd. in Echo Park.